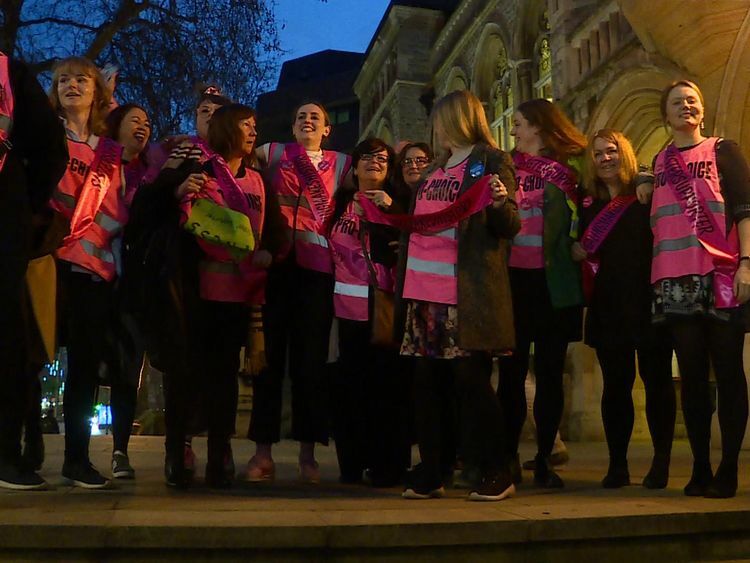 A west London council has become the first in the UK to implement an exclusion zone outside a local abortion clinic. 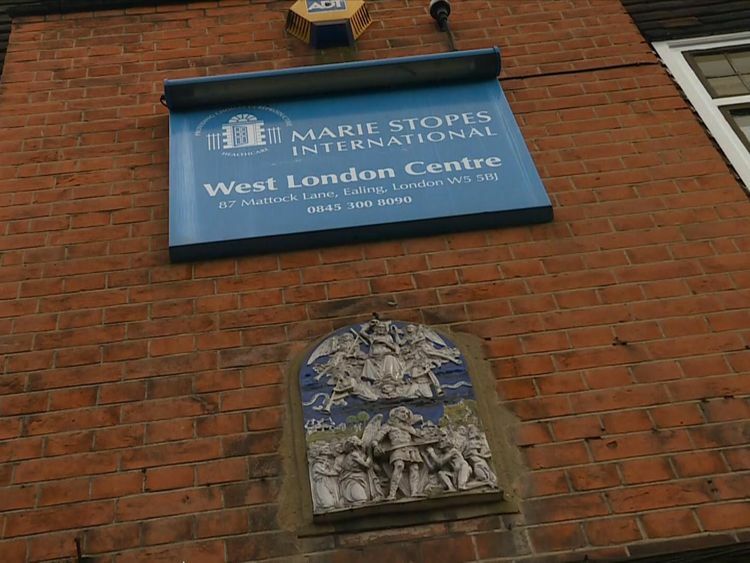 Ealing Council says the 100 metre safe zone, around a Marie Stopes clinic in Mattock Lane, Ealing, will protect the clinic's users from harassment by pro-life campaigners. Clinic staff say their clients have, for years, been harassed and intimidated by groups who stand on the public footpath outside the facility.After a lengthy consultation, Ealing councillors said their own findings corroborated the clinic's claims. 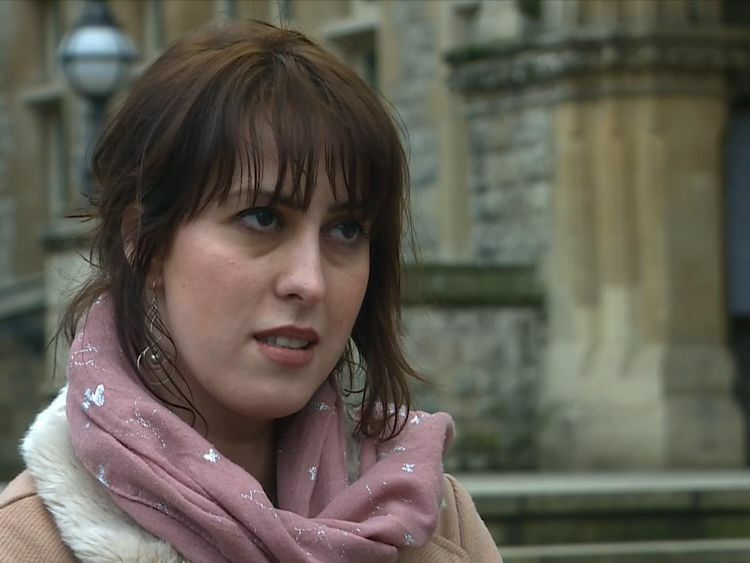 Sky News was given access to the clinic's incident log which catalogued intimidatory behaviour by pro-life campaigners over the course of a year.On one occasion, in January 2017, staff noted that protesters told a client she would "be haunted by her baby" and that "God will punish you" if she had an abortion.Another entry, from April that same year, noted: "Client very tearful after being called a murderer as she walked into the clinic. "The buffer zone campaign was launched by Ealing residents who formed a lobby group, Sister Supporter. Founder Anna Veglio-White told Sky News: "We're not a pro-abortion group, we're not an anti-abortion group, we're an anti-harassment group. And this is about women being stopped whilst accessing a legal healthcare facility. "Ealing Council will use a Public Spaces Protection Order (PSPO) to implement the safe zone. PSPOs are normally used to ban anti-social behaviour, such as drinking alcohol, from public spaces like playgrounds and areas around schools. Like other PSPOs in the borough, the Marie Stopes clinic order will be introduced for three years with a review to be held after six months.Pro-life supporters gathered outside of the council building on Tuesday night, to pray and protest against the council's decision.Alina was on her way to have an abortion when she was stopped by pro-life campaigners, who gave her a leaflet with information and offers of support.She told Sky News it was the first alternative to an abortion she had been offered and that she was grateful they had intervened.She said: "There are so many women who have an abortion who can't live with it. We have to think about them. No one presented them with another option." Birmingham and Portsmouth councils are among those that have already begun their own consultations on the use of PSPOs around their local abortion facilities. At government level, the Home Office is looking at whether legislation should be created to legally enforce buffer zones around abortion clinics nationwide.Home Secretary Amber Rudd has said: "While everyone has a right to peaceful protest, it is completely unacceptable that anyone should feel harassed or intimidated simply for exercising their legal right to healthcare advice and treatment."